Tracks through Grantham is a new venture which aims to capture the spirit and the way of life of the railway community in and around the Lincolnshire market town of Grantham. 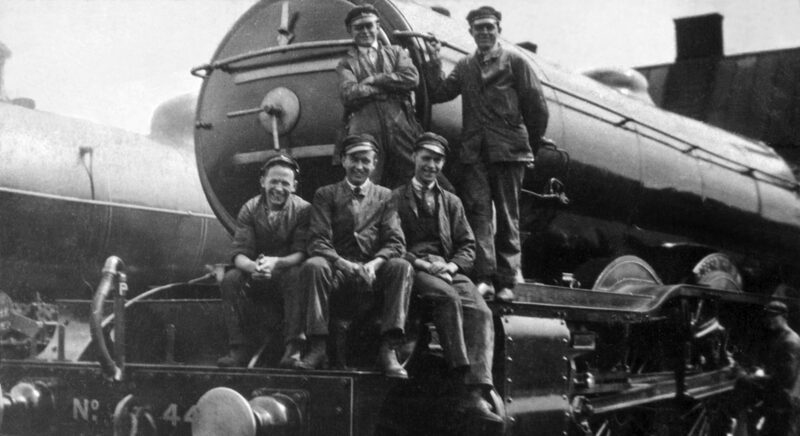 We are presenting the story of the railway from many perspectives, including from the viewpoint of the people of Grantham who have worked on the railway or have been associated with it. Tracks through Grantham is run as a hobby by three partners, John Clayson, Mel Smith and Jeremy Stone. For the content we depend on the generosity of our many friends and contributors who are so willingly sharing memories, photographs and other resources. We are also indebted to public and private sources who have kindly permitted the free use of material from their collections. Tracks through Grantham will also 'signpost' relevant work that is already published, in any medium or format. The project does not exist to duplicate or re-publish the work of others, neither do we wish it to be perceived as being 'in competition' with railway or local history initiatives and publications currently in development. Our potential interests are widespread and complex, and we are more than willing to reach an understanding with anyone who may be researching a related subject with the intention of future publication. The Tracks through Grantham project partnership was formed in 2016. Discover the individual background stories to our involvement using the links below. Fantastic website. My Dad use to take me train spotting to Grantham in the 1960s. Shame I cannot remember steam. When I got job on the railway in the 70s I use to visit the 'box (the old Yard Box) on Saturdays and took pictures (slides) of trains passing (Diesels). I've been looking for them but as yet not found, grr! Keep up good work. We're pleased you're enjoying Tracks through Grantham and thanks for your memories. Your visits in the 1970s would be when the old Yard Box had been fitted with an electronic panel, controlling movements on several miles of track both up and down the line as well as the station area. When you find your photographs please let us know as we are looking for diesel era pictures for a new series of pages we hope to develop. My Father use to take me spotting at Grantham in 60s and got some good memories in 70/80s when I joined railway, use to visit box (old Yard Box). I used to own the running in board from the south end until couldn’t repair enamel, wish didn’t sell.